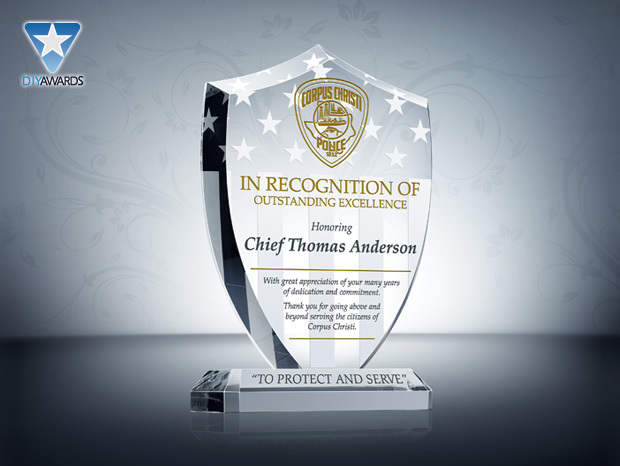 Product Description Honor police officers and county sheriffs who go above and beyond the call of duty with this personalized Police Officer Plaque. Hand cut into the shape of a shield, this plaque has the definite "wow!" factor.